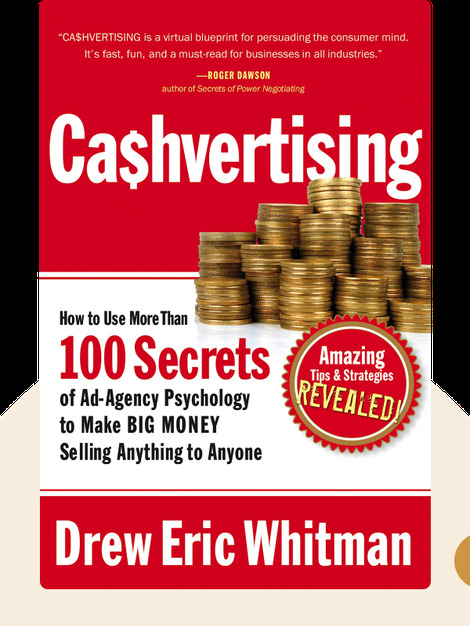 Cashvertising (2009) shows how you don’t need a million dollar ad campaign to bring in the customers. All you need to know is how and why we make buying decisions. Full of instantly actionable tips, this book tells you everything you need to know about how to turn your ads into profits. 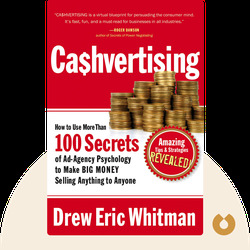 Drew Eric Whitman has worked for the direct marketing division of the largest ad agency in Philadelphia, and is now a consultant and teacher on the psychology behind consumer behavior. His work has been used by huge organizations, such as the Advertising Specialty Institute, American Legion and Texaco.